I’ve been looking for an opportunity to post a picture of some of the Bissett Elementary students that was taken last month when I visited their school. We had a fine time together. Sorry that we can’t show their faces but hopefully their body language will demonstrate that they were having as much fun as I was. My thanks to all the teachers and staff at Bissett for making me feel so welcome and, of course, to the kids for being so special. My thanks to Caitlin Hall for sharing the photograph. Yesterday I had the pleasure of meeting all the students at Bissett Elementary School and I had a fine time. Boys and girls, if you are reading this post, I want to thank you for being so nice to me. You, your teachers, your librarian, your reading coach, your principal, and everyone else I met made me feel welcome. Thank you for your good questions too. You really made me think! 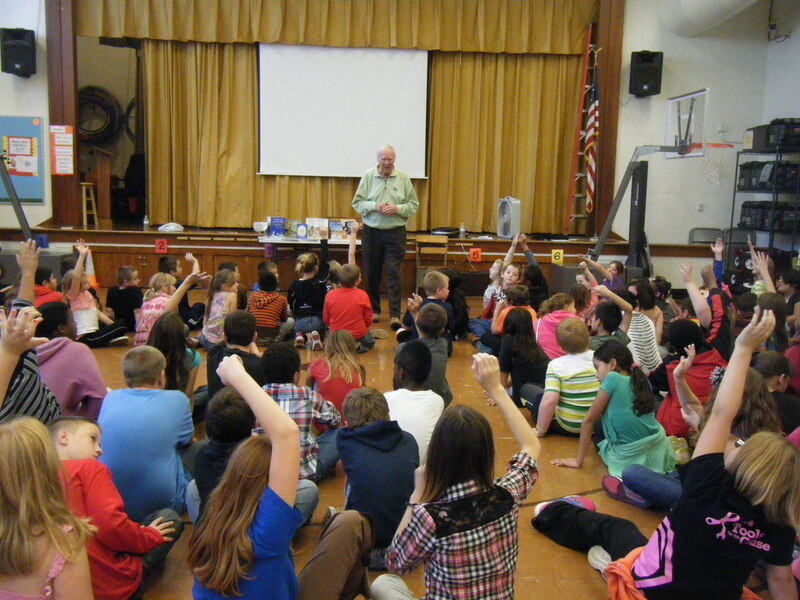 I’m looking forward to this afternoon when I’ll pay a visit to the kids at Bissett Elementary School in Springfield. I’ll talk to the K-2 students in one group and 3-5 grade students in a second. I don’t know about those kids but I’m sure to have a good time and come home energized. Last week was the Children’s Literature Festival of the Ozarks and the week before that I visited David Harrison Elementary so I’m getting my quota of young people lately. Perfect!